DentaCare / Advice / Where do tooth cavities come from? How can we prevent them? Where do tooth cavities come from? How can we prevent them? Tooth cavities most often develop in the grooves on the chewing surfaces of molars, between teeth and also near the gum line. Carious lesions are caused by several factors: the presence of carious bacteria in the oral cavity within the plaque; the sugars that these bacteria feed on (in particular: glucose, sucrose, and fructose), and the acids produced by the microbes feeding on the sugar. Acids damage the surface of the tooth and over time they penetrate deeper into the structure of the tooth, resulting in cavities (holes on the surface of the tooth), and what’s worse they attack the root of the tooth, because the caries also penetrate its hard tissue. Thus a small cavity can grow and become big enough to destroy the entire tooth. Of course this process does not happen overnight (only in children can it progress fairly quickly due to the weaker mineralization of milk teeth, and during early childhood – just after the first teeth appear, it can lead to early cavities). 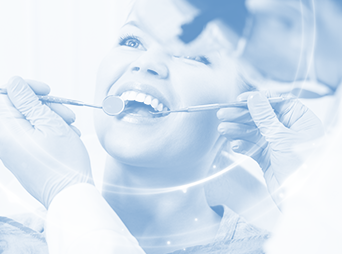 regularly visit the dentist for check-ups and cleaning. 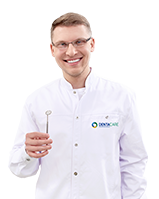 We invite you to visit our DentaCare dental offices.